May Day in Budapest used to be a major holiday of the Communist Party. Large processions followed by beer and frankfurter in the City Park marked 1st May a couple of decades ago. Today political parties still use May Day/Labor Day to advertise their programs and recruit followers, but luckily 1st May- Labor Day has become a family day with a range of festivals and programs in the capital, and other towns of Hungary. The Big Race/Nagy Futam car show will be the greatest event on the 1st Day of May 2019, this time without and Air Show and a at a new route: Városháza Park – Andrássy Avenue – Oktogon. TIP: 1st May/Tuesday is a bank holiday in Hungary: shops, markets, most museums will be closed. Thermal baths will be open according to Sunday opening hours, public transport operates according to Sunday/holiday schedule and pricing. 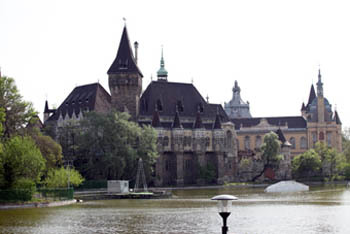 The spectacular show moves to a new venue from Városháza Park in the city centre and along Andrássy Av. The legendary Austrian F1 pilot Gerhard Berger will also be here again. The race takes place in two parts in the morning and in the afternoon on 1st May. On 30. 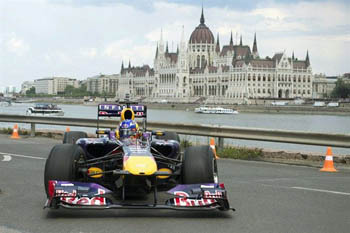 April you can visit the cars and meet the pilots in the Paddock in Városháza park, downtown Budapest. Note: the program can change and delays might occur due to weather, technical or other issues. Location: Between Elizabeth Bridge and the Parliament. See more details on the event’s webpage. 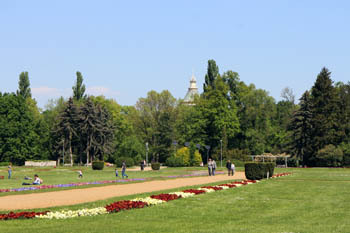 Budapest’s largest park, the Városliget hosts a festival on each Labor Day. The Tabán Festival looks back to decades of tradition (except for a 10-year break). 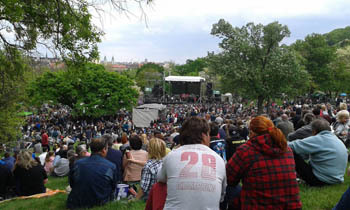 Budapesti people celebrate the first day of May with live concerts from early afternoon till late night in the Tabán area in Buda. The Tabán concerts used to be all about rebelation against the communist regime, today it has a more relaxed atmosphere with the most popular Hungarian pop-rock bands giving concerts all afternoon. Quick fact: The Tabán area is the hilly part between Buda Castle and the Gellért Hill in district I., and partly in district XI. It used to be a very idyllic city part around the turn of the 19th-20 century with lots of cozy cafes, bars and restaurants, the prototypes of Budapest’s all popular ruin pubs today. In the 1960s the Tabán underwent a landscaping project then the park slowly became neglected. The area today is more or less organised and clean. The renovated Rác Spa and Hotel, a former Turkish Bath of Budapest stands at the edge of the park.. The first May Day Festival in the Tabán took place in 1968. The rest of May offers a wide range of events and programs in Budapest. Margaret Island is another spacious green patch in the heart of the city; a perfect place to celebrate May Day in Budapest. You can join an outdoor Yoga Festival on 01. May/Tuesday starting at 10.00 on the Nagyrét next to a big plane tree. Location: the large green lawn between the Water Tower, the Open-Air Theatre and the Danubius Health Spa Hotel. The program starts with 108 Sun Salutations then continues with an Astanga Yoga Class at 11.00. Bring some food, vegan snacks to end the program with a picnic. Bring a yoga mat and water with you. TIP: The outdoor yoga classes (donation based) on Margaret Island continue throughout summer on Weekdays and Sundays . In May classes start at 17.00 on Sundays at 11.00. June-September classes begin at 18.00 on Weekdays and at 11.00 on Sundays. TIP: The musical fountain at the southern corner of the island welcomes visitors with a water and music show. Micimackó Winnie the Pooh by Zsuzsa Koncz etc. Read more about attractions on Margaret Island.